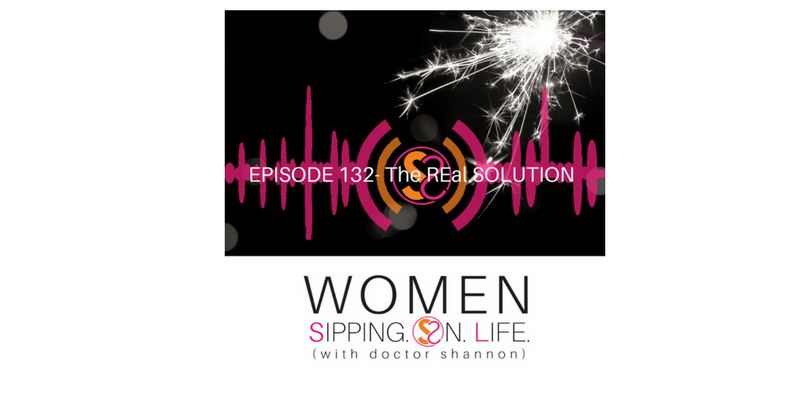 If you’re seeking something MORE than simply a RESOLUTION, and you desire REAL…you’re not alone. Today I share the secret to discovering what you seek. We’re NOT doing resolutions any more. We’re seeking and creating REAL SOLUTIONS. Whether you’re going into a new year or a new day…and it’s mid-July, there’s always a time and place for REAL SOLUTIONS. What is the SOLUTION that you’re SEEKING? What IS the answer to the questions that you’ve been asking? What’s the NEW that you’ve been desiring? Whatever it is, today’s the day to start tapping into REAL SOLUTIONS. The real solution starts with your OWN SOUL, my dear. Your own heart and soul. The desires in your heart WILL lead and guide you. Are you LISTENING to what your heart and soul are telling you? Are you looking to discover the REAL SOLUTION? To stay in the REAL? The TRUTH…and to build upon it? Whatever SOLUTION you’re seeking. You’ll find it within your heart and soul. Then, of course…begin (continue) SIPPING ON LIFE. It IS a way of living that’ll allow you to stay and sip on the REAL…and to actually drink upon and partake of it. It allows you to be a part of the experience of sharing in, and on, your life. If you’re looking for SOLUTIONS today…for NEW…change…to create something else, today’s the day to begin to SIP on what you HAVE. What are the thoughts that you have in your mind and heart right now? Begin to look at them. Listen to what your heart’s telling you. Allow your heart and soul to lead and guide you. Remember, your soul is your mind, will, and emotions. Are you willing to look at what’s there today? Allow your heart — the desires in your heart —to lead and guide your mind, will, and emotions. Stay in the TRUTH about your life. Your desires. What is. What can possibly come and become for you. Because you’re tapping into the possibility of your S.O.L. After “S.O.L.” comes “U” for a reason. That’s right, after your soul begins SIPPING ON LIFE, then it’s up to YOU to actively engage in BEING the SOLUTION that creates your solution. Did you know that the SOLUTION that you seek today is IN YOU? You can experience LIFE beyond your wildest IMAGINATION. I’m urging and encouraging you to go deeper than the surface. To go underneath the lily pads. To get down into the dirt and mud, and get into the roots. Start looking at your life this way. The SOLUTIONS are here. Today’s the day you could learn something new down there in the muddy waters. The question is, will you create something REAL with what you discover today? Allow yourself to express the solution that you are, within your heart and soul. What solution are you seeking to discover? ARE YOU WILLING TO BE THAT SOLUTION?